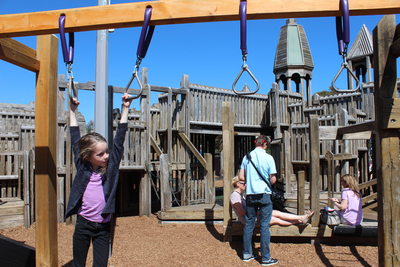 Jubilee Park Adventure Playground is not only one of the best playgrounds down south, but it's got to be one of the best in Adelaide. 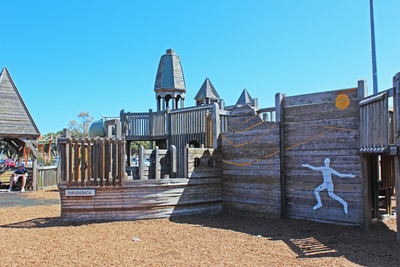 It's hard to miss the huge wooden castle as you drive past Port Noarlunga South. 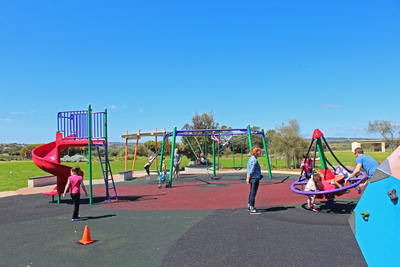 If the sun is out you can be guaranteed that the park will be packed with parents and kids. 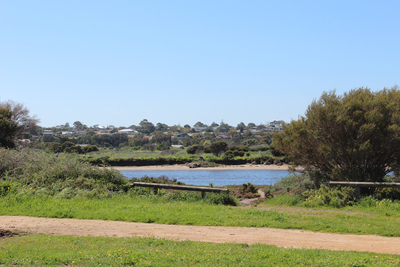 The main playground area is fenced off, which keeps kids out of the carpark and away from the nearby river. The castle complex has turrets, bridges, tunnels and ladders. There's plenty to climb and explore. Everyone agreed that it's even better when you've got a couple of friends to run around with you. Within the fenced playground area there's also a separate little kids area. 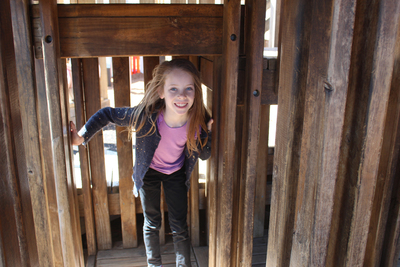 There's a miniature wooden castle as well as some swings and a slide; it's perfect for toddlers who need an extra eye watching them while they play. 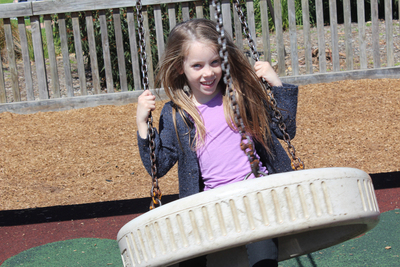 With so many kids running around the larger playground it can get a little bit too much for some littlies. 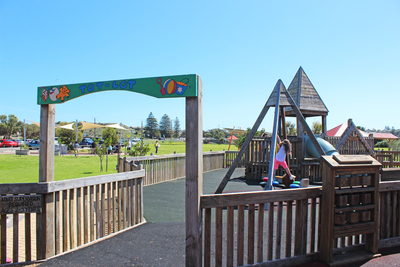 Outside there's a newer, brightly coloured playground with more things to climb all over, slide down, or whizz around. 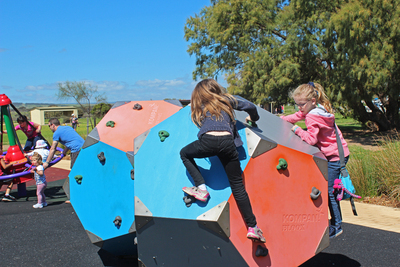 The climbing dodecahedrons were pretty popular with the 9 and 12-year-olds. There's even a neat little music area with drums and a hanging xylophone. It's special little touches like this that make the park so great. 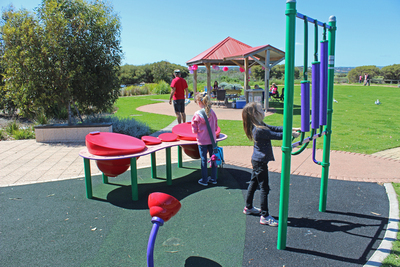 Jubilee Park is a great spot for birthday parties or family gatherings. 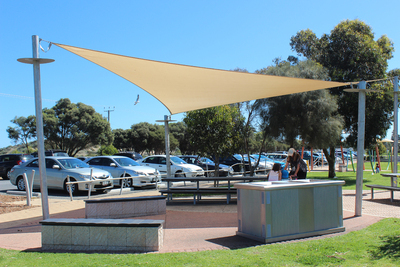 There are a couple of shaded picnic areas with tables and barbecues. There's also a toilet block, so you don't need to worry about any accidents if you're there for a few hours. Unfortunately you can't bring along your four-legged friends--dogs aren't allowed anywhere inside the park. This is primarily a space for kids. 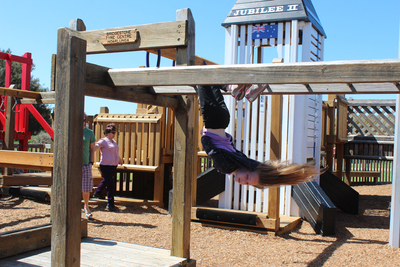 Jubilee Park Adventure Playground is one of those great places where kids are free to just run around and explore. If the sun is out and you're down south then there's no reason you shouldn't stop by for a play.